Kalama, Wash. --- Dec. 20, 2016 --- Today NW Innovation Works (NWIW) announced the formation of its Global Advisory Board with the appointments of former Washington Governor Gary Locke as Chair, and Professor David Sandalow and Professor Choon Fong Shih as Members. The Global Advisory Board is being created to advise NWIW as the company continues its ongoing efforts to lead the development of further innovations and moves closer to constructing one of the most environmentally responsible, advanced manufacturing plants ever built. “With the tremendous leadership joining our team today, NWIW positions itself as a global leader in the next generation of sustainable manufacturing,” said Simon Zhang, CEO of NWIW. "NW Innovation works is helping fight climate change, create jobs and promote closer ties between the U.S. and China,” added Professor Sandalow, who serves as the Inaugural Fellow at Columbia University’s Center on Global Energy Policy and previously served in several senior positions at the US Department of Energy during the Obama Administration. As a group, the Global Advisory Board members bring decades of experience in international relations, trade, environmental responsibility and economic growth. Mr. Locke is the former Governor of Washington (1997-2005). Following his two terms as governor, he held the position of Secretary of Commerce from 2009-2011 and later US Ambassador to China from 2011-2014. As Secretary of Commerce, Mr. Locke worked to implement President Obama’s agenda to turn around the economy and put people back to work. As the administration’s point person for achieving the President’s National Export Initiative, he presided over a 17 percent increase in exports of Made in America goods and services from 2009 to 2010, while exports to China saw a 32 percent increase. Mr. Locke has extensive experience working with China. As Secretary of Commerce, he co-chaired two sessions of the U.S.-China Joint Commission on Commerce and Trade that resulted in important changes to Chinese trade policy. As Governor of Washington, he strengthened economic ties between China and Washington State, more than doubling the state's exports to China to over $5 billion per year. As a Partner in the Seattle office of the international law firm, Davis Wright Tremaine LLP, he co-chaired the firm’s China practice. Mr. Locke has a bachelor’s degree in political science from Yale University and a law degree from Boston University. Professor Choon Fong Shih has been University Professor at the National University of Singapore (NUS) since 2013. 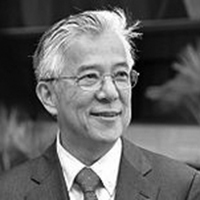 Prior to his recent position, Professor Shih served as the Founding President of the King Abdullah University of Science and Technology (KAUST) from 2008-2013. Before assuming the presidency at KAUST, he served as President of National University of Singapore for nine years. He has been widely acknowledged for creating the University's research-intensive focus with an entrepreneurial dimension, as well as for NUS' elevated global reputation. Drawing from his experiences abroad, Professor Shih institutionalized a performance- and market-based evaluation and compensation system for academics. Professor Shih was a key driver for the formation of the International Alliance of Research Universities, and led the Association of Pacific Rim Universities (APRU) for four years. He was the founding chair of the Governing Board of the APRU World Institute and served on national-level committees such as the Economic Review Committee, which crafted wide-ranging strategies for the re-making of Singapore. Professor Shih is among the highly cited researchers in the world for the category of engineering compiled by the Institute for Scientific Information (ISI). 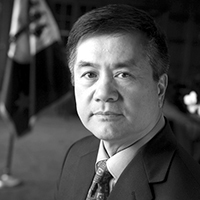 In 2004, Professor Shih became the first Singaporean to be elected as a Foreign Associate to the United States National Academy of Engineering. He was awarded the French decoration "Chevalier" in the Order of the "Legion d'Honneur" in 2005. In 2006, Professor Shih was elected as a Foreign Honorary Member of the American Academy of Arts and Sciences in recognition of his work and research achievements. In 2007, Professor Shih received the inaugural Chief Executive Leadership Award for Asia Pacific presented by the Council for Advancement and Support for Education. Professor Shih serves on the judging panel of the Queen Elizabeth Prize for Engineering and has advisory/consultant roles with Elsevier Materials Science Council, Peking University, University of Chinese Academy of Sciences, SUSTech, Universiti Teknologi Petronas, Saudi Aramco, among others. Professor Sandalow is the Inaugural Fellow at Columbia University’s Center on Global Energy Policy, where he directs the US-China Energy & Climate program and works on a wide range of issues including the future of the electric grid, renewables finance and CO2 utilization. Prior to joining Columbia, Professor Sandalow served in senior positions at the U.S. Department of Energy, including Under Secretary of Energy (acting) and Assistant Secretary for Policy & International Affairs. Prior to serving at DOE, Professor Sandalow was a Senior Fellow at the Brookings Institution, as well as Energy & Climate Change Working Group Chair at the Clinton Global Initiative. He has served as Assistant Secretary of State for Oceans, Environment & Science and a Senior Director on the National Security Council staff. Professor Sandalow writes and speaks widely on energy and climate policy. His recent works include Solar Together (Center on Global Energy Policy, 2016), The History and Future of the Clean Energy Ministerial (Center on Global Energy Policy 2016), ICEF Solar and Storage Roadmap (2015, project chair) and Meeting China’s Shale Gas Goals (Center on Global Energy Policy, 2014, lead author). He was the editor of Plug-In Electric Vehicles: What Role for Washington? (Brookings Press, 2009) and co-author of U.S.- China Cooperation on Climate Change (Brookings, 2009). He is the author of Freedom from Oil (McGraw-Hill, 2008) and dozens of articles and op-eds. Professor Sandalow has appeared on CNN, NPR, NBC, BBC, CCTV and many other broadcast outlets and served as a moderator at conferences including the World Future Energy Summit, ARPA-E Summit and Clean Energy Ministerial. He served as Honorary Chair of the Energy Storage Association’s 2015 Annual Conference. Professor Sandalow holds an appointment as Senior Research Fellow at the Center for Strategy & Policy at Tsinghua University. He is a member of the Steering Committee of the Innovation for Cool Earth Forum and chairs the ICEF Innovation Roadmap Project. 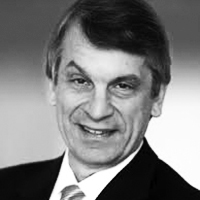 Professor Sandalow is a member of the Board of Directors of ReNew Power and a Senior Advisor to Highview Power Storage, Tsing Capital and Fermata. He is a member of the Selection Committee of the Zayed Future Energy Prize, University of Michigan Energy Institute’s Advisory Board, the Electric Drive Transport Association’s “Hall of Fame” and the Council on Foreign Relations. He is a graduate of the University of Michigan Law School and Yale College.